The Ergohuman Luxury Mesh with Legrest get all the benefits of the luxury features with added stow away leg rest. SKU: ERG-LBM-HRL. 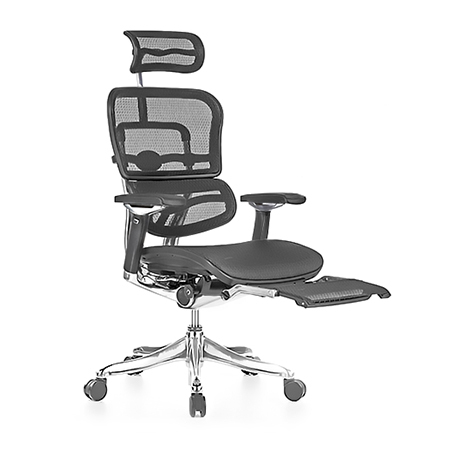 Categories: Ergohuman Legrest, Ergohuman Luxury, Mesh Office Chairs, Pre Order. Sit back and relax with all the luxury features including a stow away mesh leg rest. Perfect for work and media watching.